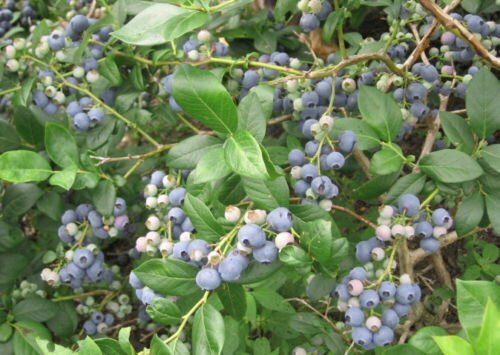 Lowbush Blueberry is native to the Northeastern North America where it grows in moist woods, bogs, swamps and low areas. 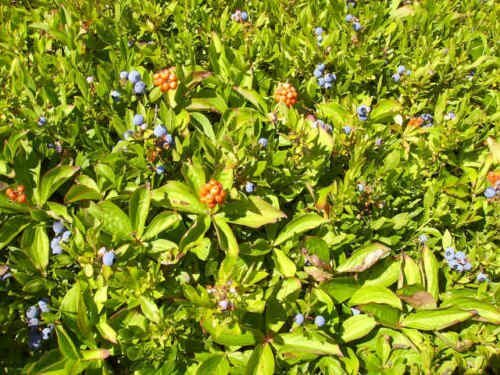 It is an upright, deciduous shrub that typically grows 6 to 24 inches tall. Masses of dainty, waxy, bell-shaped, white or pinkish flowers appear in May with the new leaves. 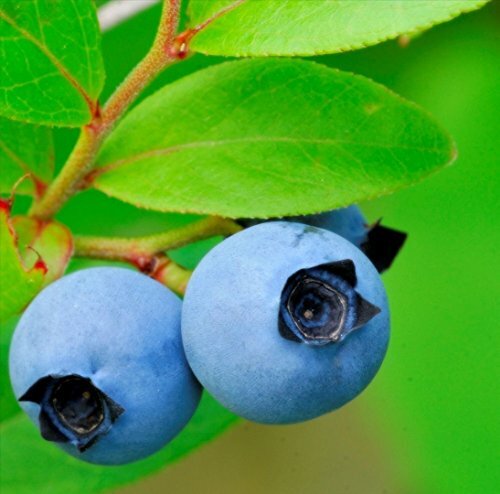 Flowers are followed by blue-black blueberries to 1/2" which ripen in summer. Ovate, dark green or blue-green leaves, to 3.5" long, turn attractive shades of reddish bronze in fall. Reddish stems can be attractive in winter.